Meanwhile, the maximum temperature of the city recorded on Sunday was 18.8 degrees Celsius which is four notches below the normal temperature. 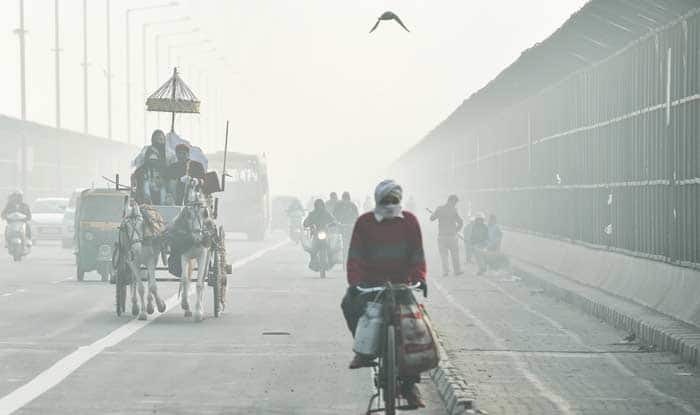 New Delhi: With the onset of the cold wave, the minimum temperature in the National Capital Region is expected to hover around four degrees Celsius for the next three days, stated a forecast by the India Meteorological Department. IMD officials reportedly said that rainfall is expected in Delhi on Wednesday and Thursday which may raise the minimum temperature by 3-4 degrees Celsius. “There will be shallow to moderate fog on the mornings of Monday and Tuesday. Cold wave-like conditions will also prevail in some parts of the city which will keep the maximum temperature at a low – around 19 degrees Celsius,” an IMD official said. SAFAR’s daily forecast reportedly said that the cold wave conditions in the city will bring down the wind speed that helps check the air pollution. Thus the temperature drop is likely to deteriorate the Air Quality Index of Delhi further, added the officials. The overall AQI on Sunday was recorded at 262, marked under the ‘poor’ category. The conditions may improve in the case of rainfall, said the officials. From January 30 to February 1, the weather office has forecast light rain and thundershowers in Delhi which will slightly increase the minimum temperature to 8 or 9 degrees Celsius. Such weather conditions are bound to increase the pollution levels in the city with the Air Quality Index (AQI) expected to turn ‘very poor’. “These cold wave conditions will tend to slow down the wind speed which has been helping in the dispersion of pollutants since the last two days. Gentle fog is now mainly confined to early morning hours. AQI may slowly deteriorate during the next two days but it might improve with rainfall,” the SAFAR agency said in its daily pollution analysis. Meanwhile, the maximum temperature of the city recorded on Sunday was 18.8 degrees Celsius which is four notches below the normal temperature. The minimum temperature, on the other hand, was three degrees below normal and was recorded at 5.2 degrees Celsius.